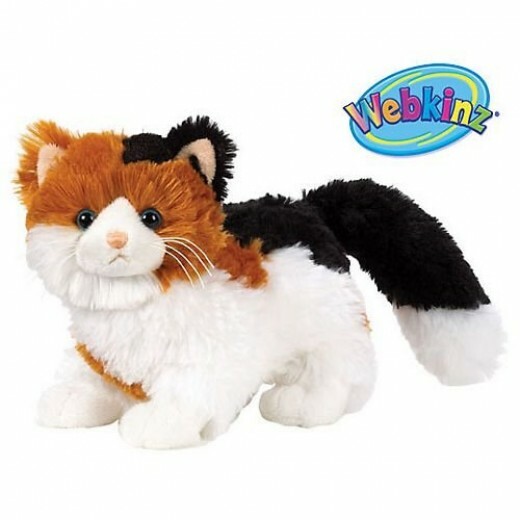 If you are looking to adopt a Webkinz cat or kitten there are certainly quite a few for you to choose from. It can be a tough decision too because every one of these pets are so adorably cute. These collectable pets are all special because each of the small plush toys comes with an individual code that will unlock an online game site for them to play at Webkinz World. For kids it is a site created specifically with them and their interests at heart. It's an fun virtual play land for them to play at. There are many pets to choose from but the cats and kittens have remained a popular choice since 2005 when these toys were first introduced. The very first batch of Webkinz pets to be created included two cats. 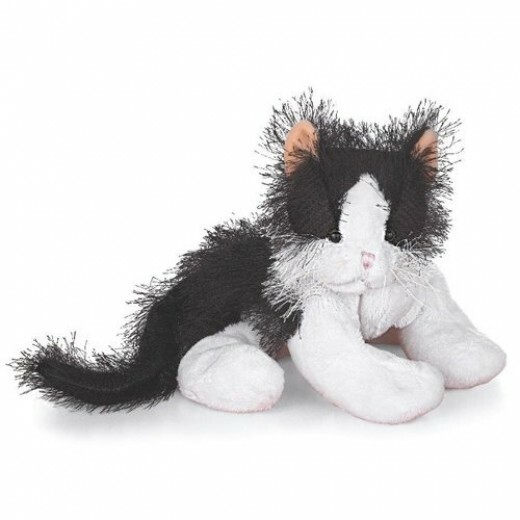 Cuddly, cute, playful, and fun, the Webkinz cats and kittens are absolutely ideal to take home to love. They are all waiting patiently to be adopted. Each one comes with a special code that is entered onto the official Webkinz World to unlock a special place for children and their pets to play. 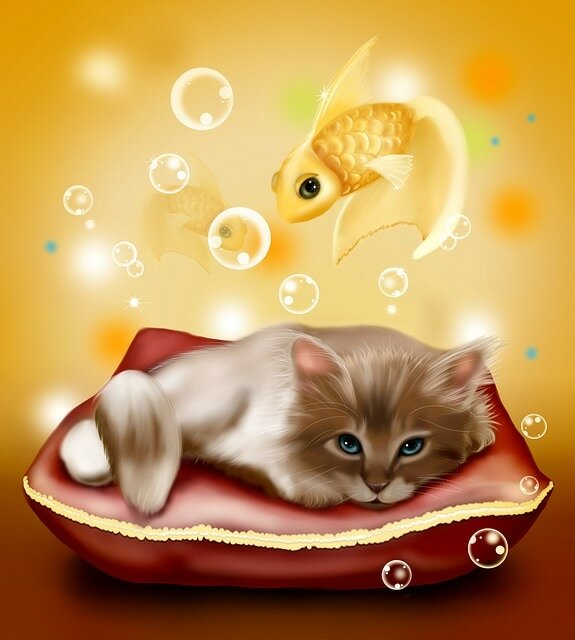 This website is the entrance to a wonderful virtual play land of games, challenges, and rewards for kids and their adopted pet to enjoy. There is all kinds of stuff that the child and their pet can do at Webkinz world. Basically the principle is pretty simple. This website is designed specifically so kids can get online, play, and have a whole lot of fun while they are there. With a beautiful coat of thick fur touched on the ends with dark brown the Himalayan cat is beautiful. Cuddly, sweet, and a delightful pet to adopt this kitten is all set to play online in her own very special corner of Webkinz World. Just enter the code that comes with this kitten. Siamese cats are very dignified, aloof, and inquisitive but the Webkinz Siamese kitten is just super sweet. With the traditional brown tipped ears this cat is adorable. As with all these pets you will find a secret code that opens up a special world for your cat to play in. What does a penguin have in common with a tuxedo cat? They both have a similar coloring and look like the are wearing a tuxedo. The tuxedo cat certainly looks like he or she is all dressed up to head out to a very fancy formal party. So cute. Alley cats are generally shown as being orange and this striped alley cat fits right in with that image. He loves to yowl at the moon and play with the other cats in Webkinz world. Soft and silky he is a wonderful kitten to pick for adoption. All pets want to go to a good home. They want lots of love, good food, and tons of play time. 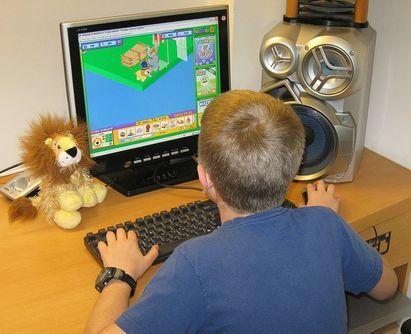 When you go online to play at Webkinz world you will find all of those things to help you care for your adopted plush toy pet. In their own special playland there are games to play, prizes and reward to win or earn, friends for your pet to play with and lots of good food for him or her to eat. So be sure to visit Webkinz world, enter in your secret code, and play. There is no where else quite like it. Now this is a sweet little kitten just waiting to be adopted. Soft, sweet, and always ready to play. All the Webkinz pets come with their own very special code that lets you go online and play games at their official website. She is fluffy and soft and purr-fect for cuddling and snuggling with. Her beautiful white fur is exactly how a persian would want it to be. She is a kitten that is sweet as can be. The kitty is purr-fectly wonderful. This list features the very first Webkinz cat and kitten pets to be released for adoption all the way to the very newest ones. There are certainly a lot of cats and kittens to choose from. This specialty line of Webkinz pets are larger than the regular Webkinz. They also have a more realistic appearance and a special soft fur like coat. 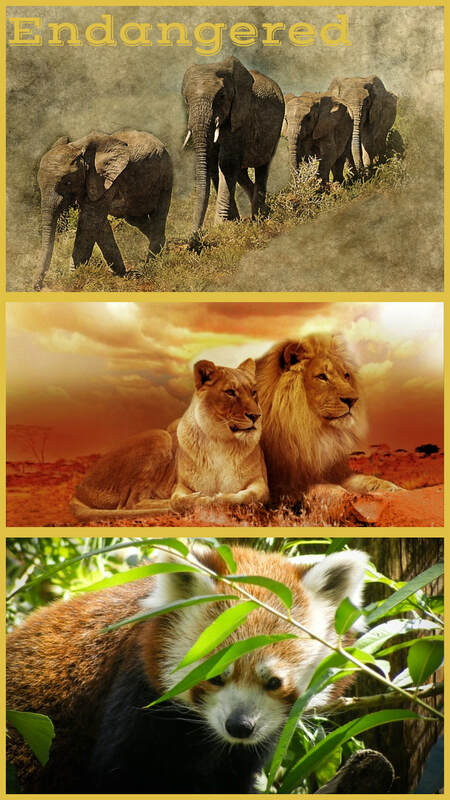 The Signature pets are a limited edition and Ganz is due to end production of them in December 2013. So be sure to get yours while they are still available. Signature Bengal Cat: Released March 2012 (This is a wild cat but it is still a cat).